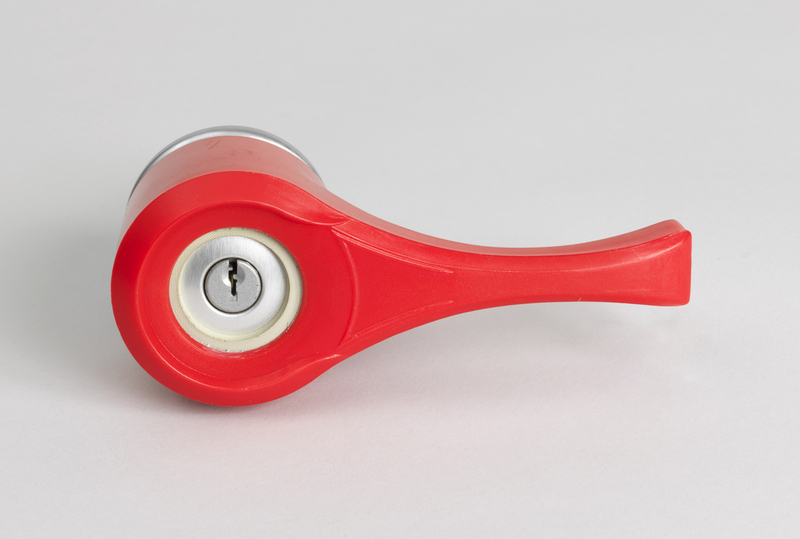 Since the early 1980s, around the time of this door knob attachment’s production, designers and engineers have been particularly attuned to the physical, psychological, and emotional needs of users during their interactions with everyday things. This design approach has been called “user-centered design” and considers users’ needs at every stage of the design process. Donald Norman, one of the pioneers in this field, has written extensively about the elements of poor design, highlighting the ways in which users often blame themselves when they cannot complete a seemingly simple function. He writes in his seminal text The Design of Everyday Things, “Suppose I try to use an everyday thing, but I can’t. Who is at fault: me or the thing? We are apt to blame ourselves, especially if others are able to use it. Suppose the fault really lies in the device.” One of Norman’s primary examples is the door and doorknob. He argues that one should never be confused or troubled during his or her experience of opening a door. And yet, this problem still occurs. This doorknob attachment solves potential problems that users may have in terms of gripping a standard doorknob. The Leveron door handle attachment allows users to convert a standard door knob into a lever handle, permitting easier entry for users who may have difficulty turning a typical round knob. The attachment wraps around a round doorknob of any size yet does not obstruct the keyhole. The bright red color also helps users with limited vision locate the doorknob. This mass-produced plastic handle does not require any additional hardware pieces or adhesives, allowing for relatively easy installment. The need for such an attachment underscores the varied and very real needs of many users with limited physical ability. Though the design of a doorknob may initially seem relatively simple, this novel product highlights the important role that designers play in creating a more accessible world. Ben Green is a graduate student in the History of Design and Curatorial Studies masters program offered jointly by the Parsons School of Design and Cooper Hewitt, Smithsonian Design Museum. He is a Fellow in the museum’s Product Design and Decorative Arts Department. Donald Norman, The Design of Everyday Things: Revised and Expanded Edition (New York: Basic Books, 2013), 61. 2-the height of these lever door-openers equals the height of pockets and people regularly get caught on them, even tearing clothing. I believe they were standard on boats and ships; European doors opened with them then we north americans decided to catch up…or?